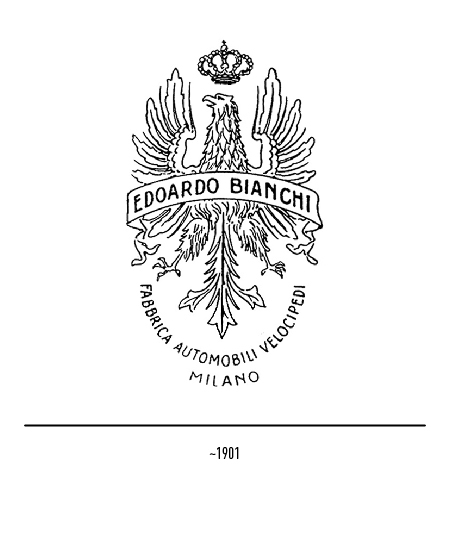 This car manufacturing firm named after its founder, Edoardo Bianchi. 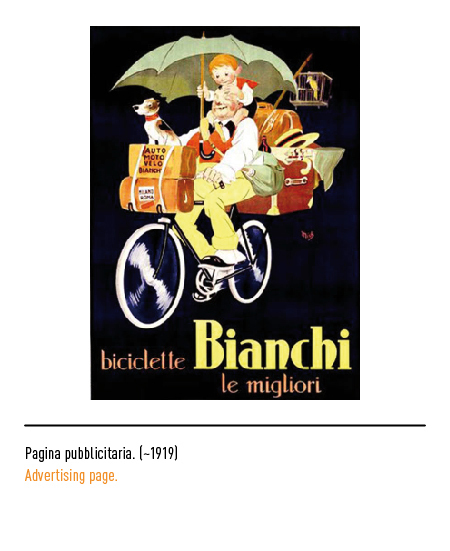 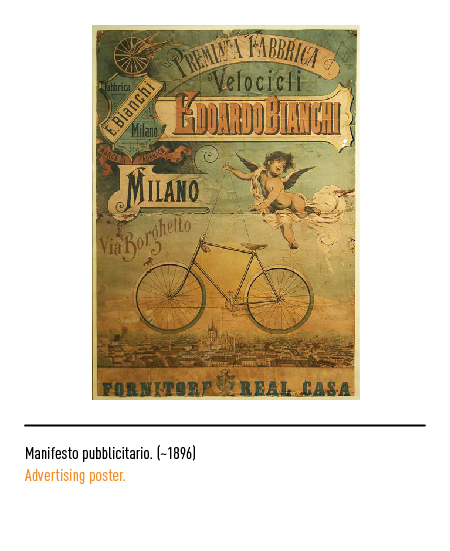 First established in Milan in 1885 as a bicycle construction and repair workshop, in 1897 it brought out the first motor-driven bicycle. 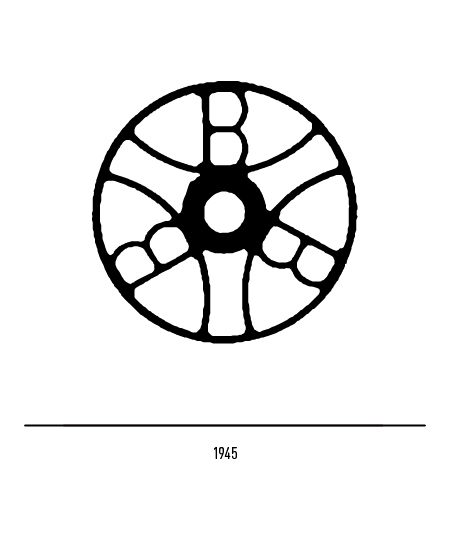 A crowned eagle with a band on which was inscribed the founders name appeared as its first trade-mark. 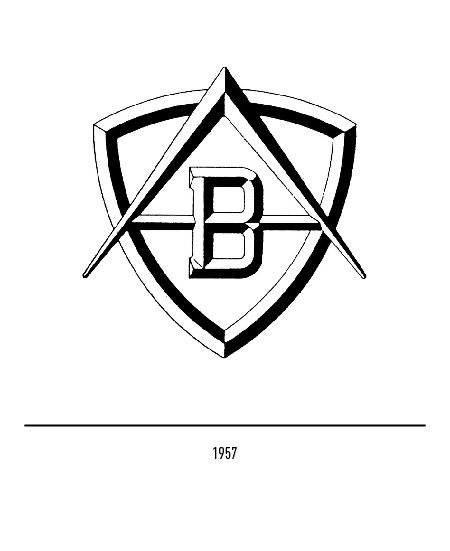 As providers to the royal household, the Savoy coat-of-arms was subsequently added. 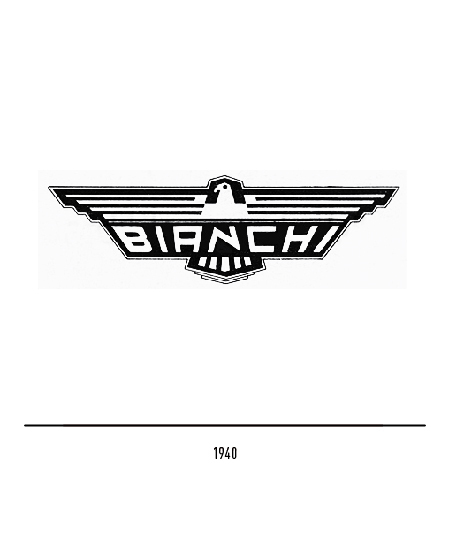 After its founders death in 1955, a new establishment was opened by Giuseppe Bianchi at Desio close to Milan in a joint-venture with Fiat and Pirelli. 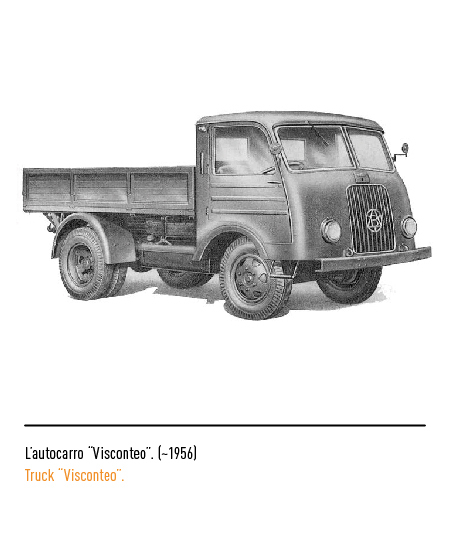 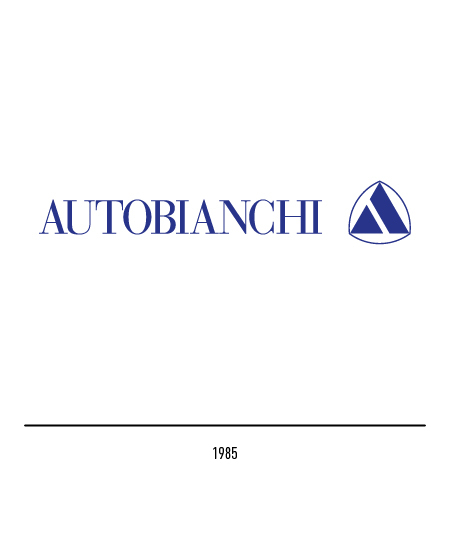 It was then that the firm became known as "Autobianchi SpA", with production wholly switched over to automobile manufacturing. 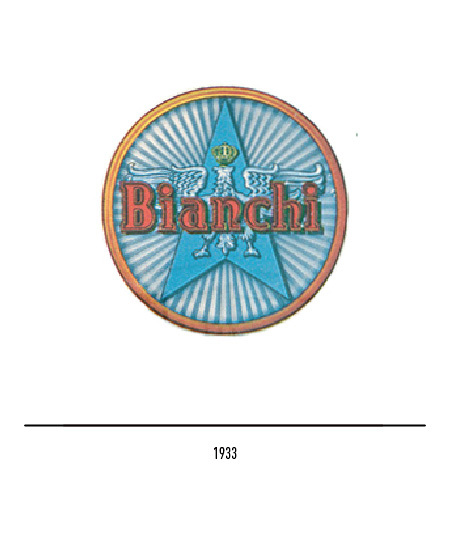 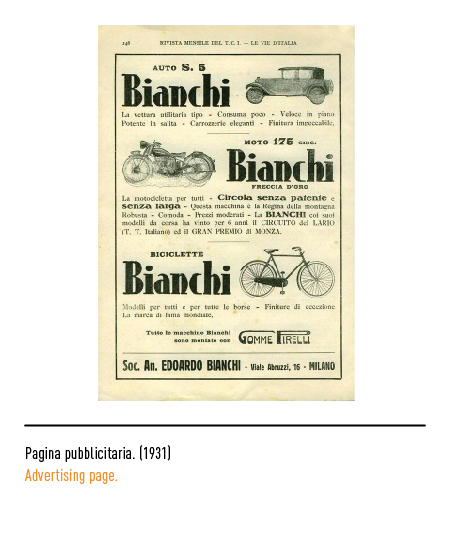 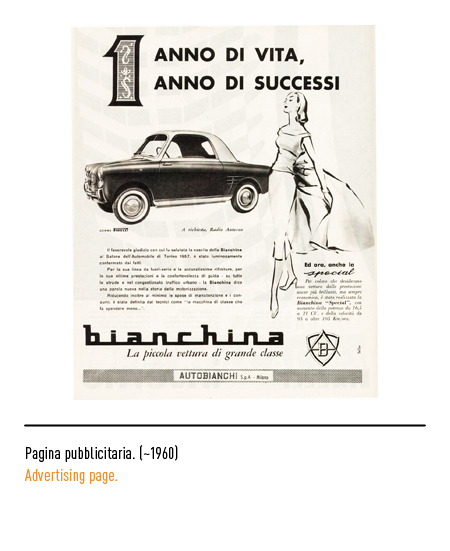 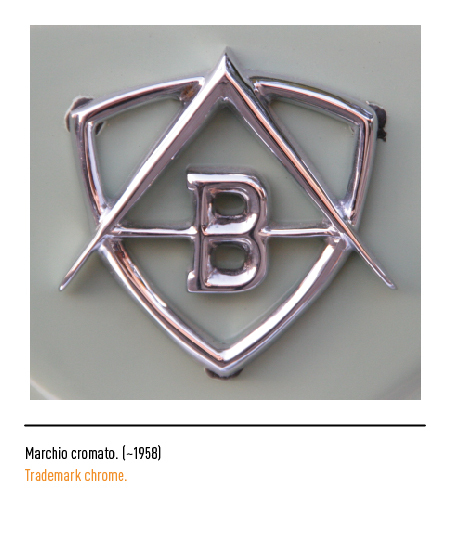 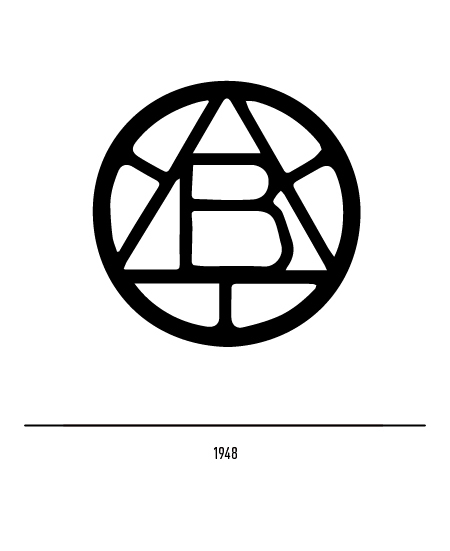 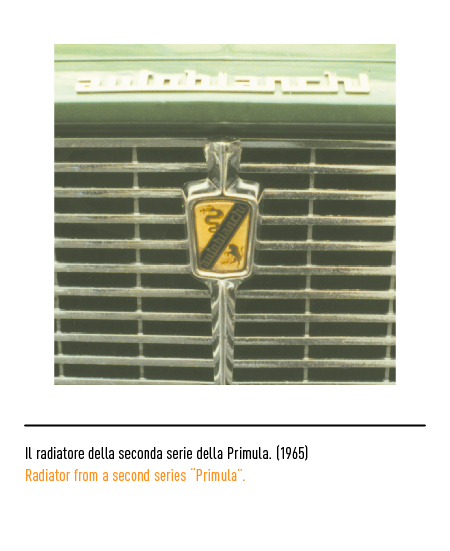 With the launching of the "Bianchina" utility in 1957 a new trade-mark portraying the letters "A" and "B" within the contours of a shield was adopted for the occasion and used until 1959 when the lettering was replace by a stylised "Autobianchi". 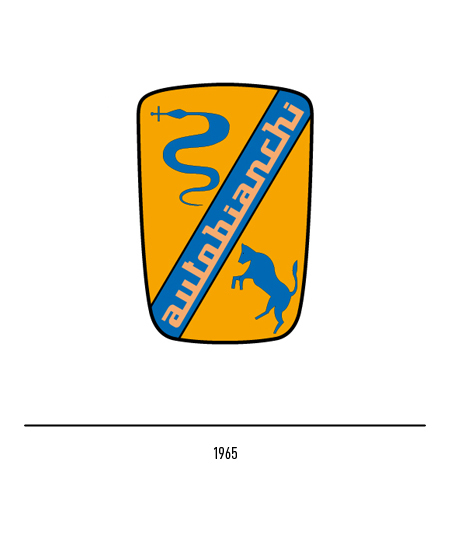 The bull and serpent symbolising the aforementioned joint-venture put in their first appearance in 1965. 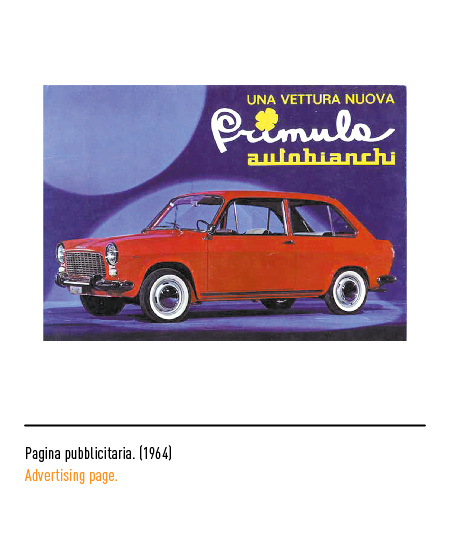 Once more, the occasion was the presentation of a motor car, the "Primula", at the Paris Salon. 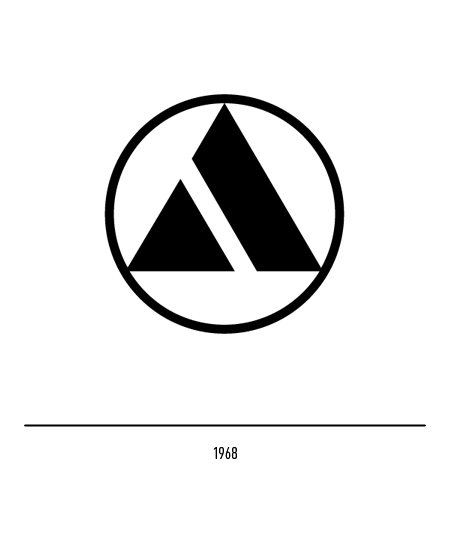 But the new trade-mark was not to last long. 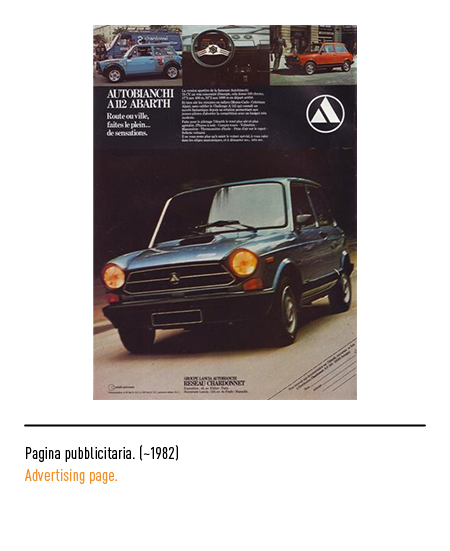 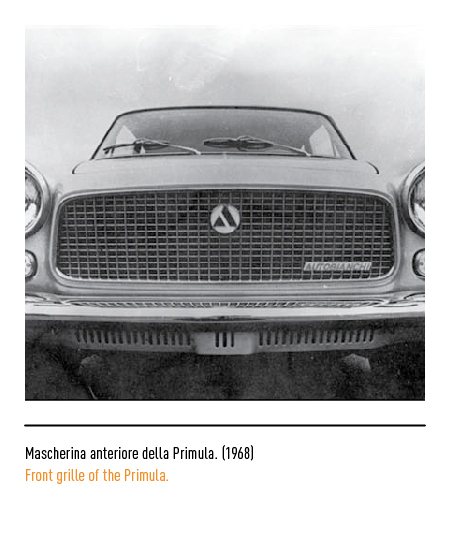 In 1968, when the firm was taken over by FIAT, it was replaced with a new one designed by Ilio Negri. 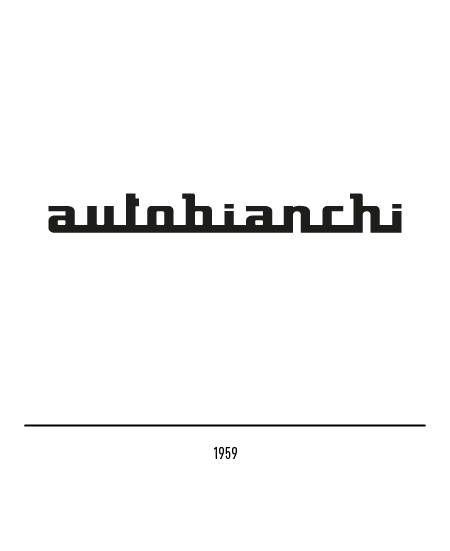 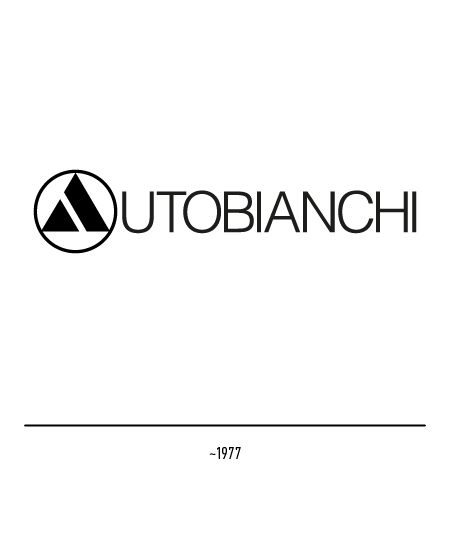 A stylised letter "A" was portrayed within a circular figure and this new trade-mark was sometimes used in place of the letter "A" for "Autobianchi". 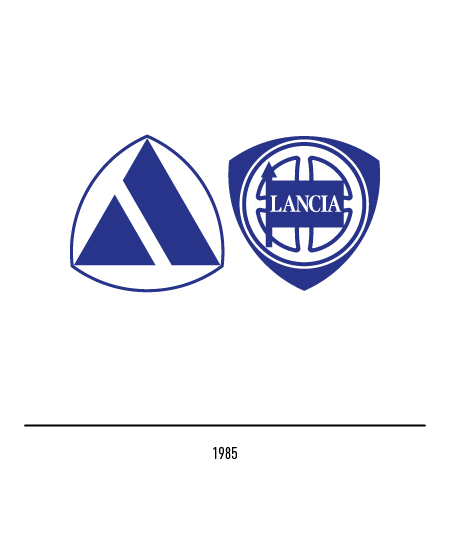 Since the merger agreement with Lancia in 1985 the trade-marks of the two car manufacturers have always been jointly displayed, and the stylised "A" has also been used for the typical Lancia shield but turned upside down. 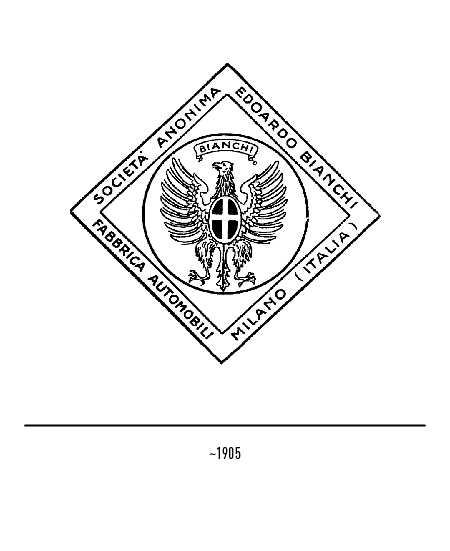 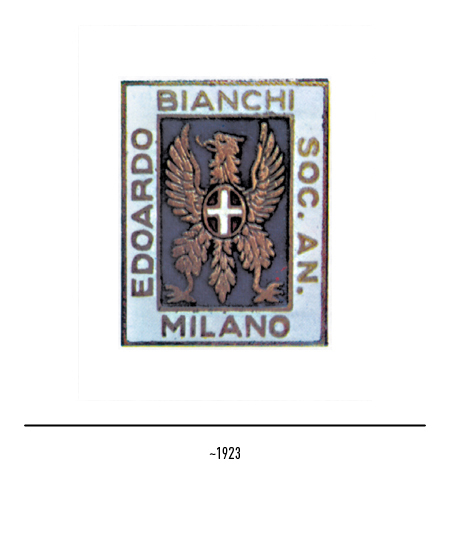 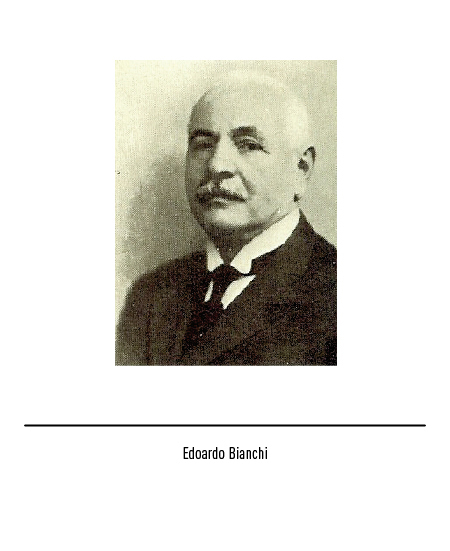 AAVV, STORIA DELLA COMUNICAZIONE DELL’INDUSTRIA LOMBARDA 1881-1945, Silvana Editoriale, Milano, 1997. 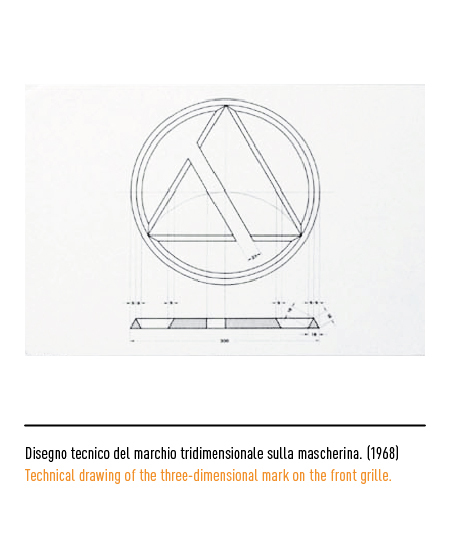 I MARCHI DI FABBRICA A MILANO, a cura di Giovanna Ginex, Guido Lopez, Gian Paolo Massetto, Camera di Commercio di Milano, 1992. 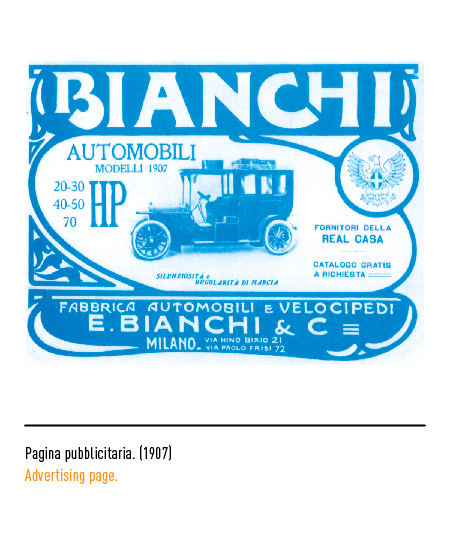 6000 MARKS, LABELS & VIGNETTES, vol. 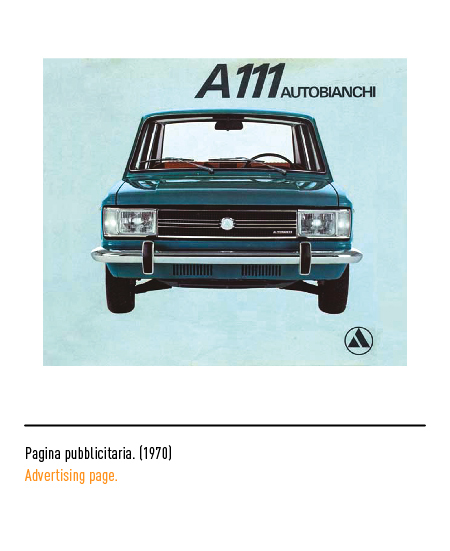 1, Happy Books, Modena, 2002. 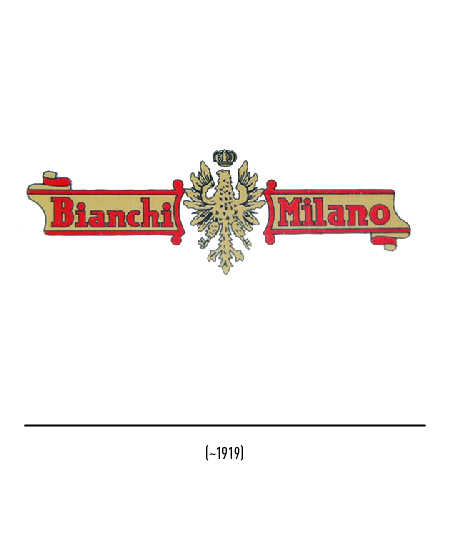 6000 MARKS, LABELS & VIGNETTES, vol. 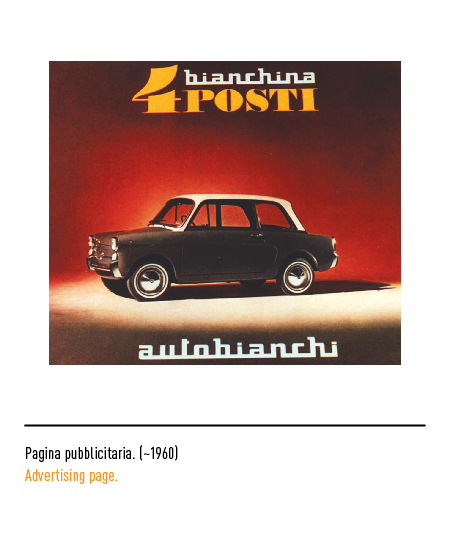 2, Happy Books, Modena, 2002.